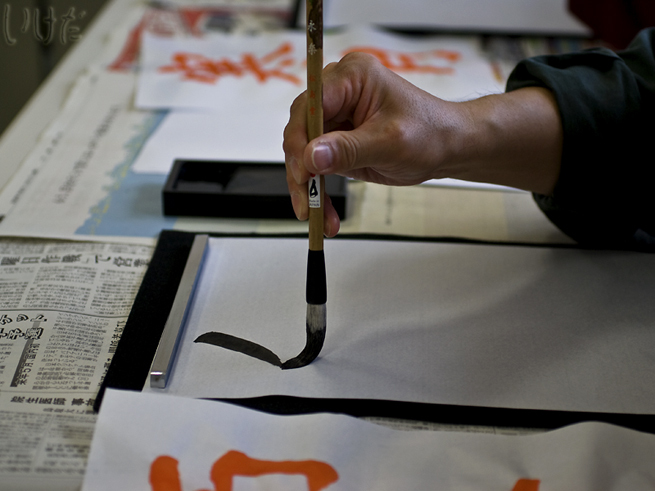 More about Japanese calligraphy here on my other blog. Wonderful! It reminds me of my Shodo class at Mashita Minami High School in Gero, Gifu-ken in 1990! Wow! You were ambitious! Japanese calligraphy is totally not my thing.